Sabre Corporation has entered into a definitive agreement to acquire Abacus International, the leading global distribution system in the Asia-Pacific region. Abacus is currently owned by a consortium of 11 Asian airlines along with Sabre, which has a 35 per cent stake in the company. Sabre will purchase the remaining portion of Abacus for net cash consideration of $411 million. Abacus International has revealed the appointment of online travel veteran Peter Li to a new role as general manager for the company’s expanding China operations. Reporting directly to Brett Henry, vice president - commercial, Li will build on the collaborative strategy that has established Abacus as China’s complementary foreign global distribution system used by a fast growing network of international travel agents. Abacus has announced that Agatha Lee is to lead the company’s Hong Kong operations as the new general manager, as Winnie Lau steps down from the role. Lee takes over one of the strongest portfolios for Abacus, with the Hong Kong gateway contributing ten per cent of revenue to the global distribution business. Chinese national flag carrier, Air China is adopting the Abacus electronic miscellaneous document technology to create a paperless ticketing environment, in another industry first for the region’s leading travel solutions provider. The Star Alliance partner is taking the initiative with Abacus EMD outside China to combine compliance with IATA’s mandate on miscellaneous documents becoming electronic. Abacus has become the first foreign Global Distribution System to secure IATA Billing and Settlement Plan certification for China. Authorised travel agents on the mainland will now be able to fulfil the entire retailing of travel products offered by foreign BSP airlines. Transaero Airlines has secured a new two-year distribution agreement with Abacus, Asia Pacific’s leading travel technology company. The agreement provides travel agents at over 20,000 locations with full access to fares, schedules and seat inventory on all routes within Transaero’s network. Abacus has launched Abacus TripAlert, a new digital service designed to give travel management companies actionable insights in order to move travellers out of danger should an incident arise that threatens their safety. Aligning early warning data on natural disasters, health pandemics or terrorist attacks with bookings captured on Abacus systems, Abacus TripAlert instantly locates affected travellers, presenting their agents with the opportunity to react, changing flight, hotel, car rental or other reservations, before options narrow. EVA Air has appointed Abacus to act as the translation platform for Airline Tariff Publishing Company fare data in Taiwan, supplying content to the carrier’s retail distribution grid. Abacus is automating all fare sheets nationwide, presenting rules in native Mandarin. Abacus, the leading travel technology provider in Asia Pacific, is now powering Via.com, one of the fastest growing online travel agencies in India with over 4 crore customers and a strategy that is establishing the brand across the region. Adopting Abacus global distribution system front and mid office solutions, Via.com is scaling its domestic and international operations. Abacus has become the first foreign Global Distribution System to serve mainland China, the world’s largest outbound travel market, with the Civil Aviation Administration of China’s approval of licenses for its travel agent applicants. A milestone for the company which has operated on the mainland since 1995, it gives China’s trade a wider choice of carriers and content to scale their international business. Providing a snapshot of the key issues for online travel agencies in the Asia Pacific region, Abacus is today sharing the findings of its latest polling, revealing travellers in the region are missing out on the benefits of low-cost travel. This August the region’s leading travel technology provider questioned 62 travel agents invested in the online space on various aspects of their digital businesses and the revenues achieved. 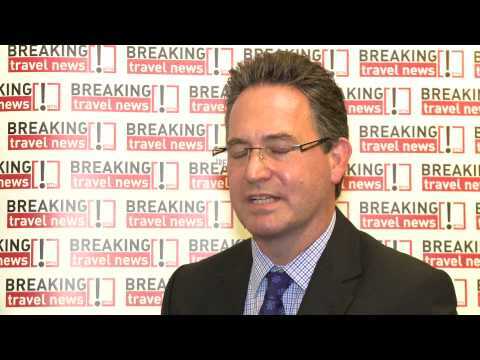 Robert Bailey, chief executive, Abacus, speaks to Breaking Travel News at the World Travel & Tourism Council Asia Summit in Seoul, South Korea.